LSL was created following the management buy out of Your Move and e.surv Chartered Surveyors from Aviva (formerly Norwich Union) in July 2004. The original estate agency and surveying and valuations businesses were created following a series of acquisitions undertaken by General Accident between 1985 and 1988. These businesses were originally rebranded as General Accident Property Services and General Accident Valuation Services and became Your Move and e.surv Chartered Surveyors in November 1999. 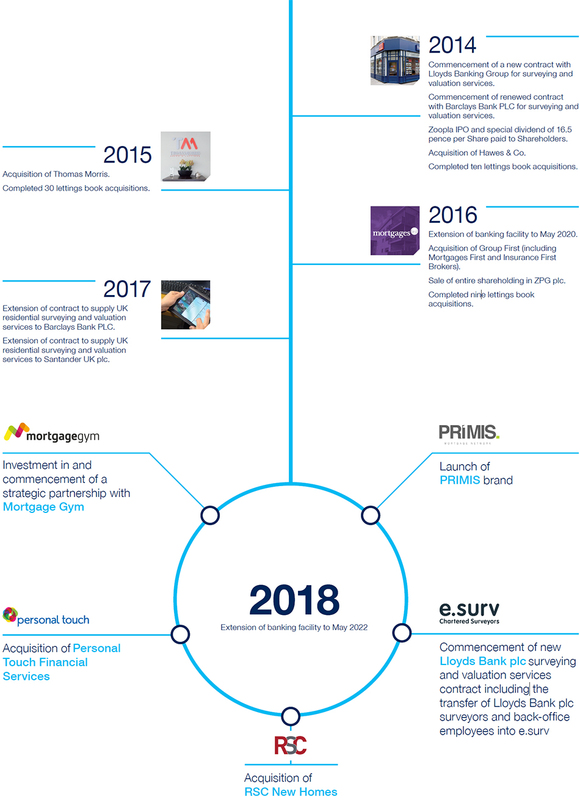 Following the management buy out, the Group has successfully completed a series of acquisitions and implemented organic growth initiatives which are set out below. The Group successfully completed its IPO on the main market of the London Stock Exchange in November 2006 with a value of £208m.